Our clients, a young family of 4 with regular guests, had purchased a run down heritage cottage in Williamstown village. They asked for a simple, light filled home to create a backdrop for their family life. Our design retained and restored the front two rooms of the original cottage and created a small courtyard that introduces light and creates a new informal entry to the home. Lean, hardworking service spaces (bathrooms, laundry and storage) are consolidated and located in the least ‘valuable’ part of the site. 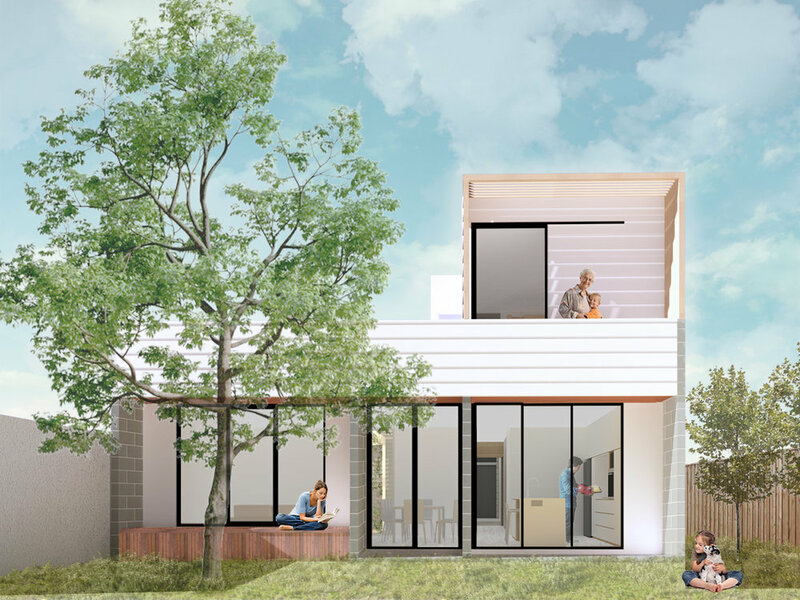 The family social spaces (kitchen, living and dining) are housed in a large, sun-drenched space that opens to the backyard. A small second floor houses the master bed room and a study / guest room. Our design focussed on creating small moments of delight in every day life: a window seat to wait for mum and dad to come home, a stair balustrade that doubles as a privacy screen to the guest room but makes sure that these small spaces remain open and generous. The balcony to the master bedroom is concealed, adding an element of surprise. 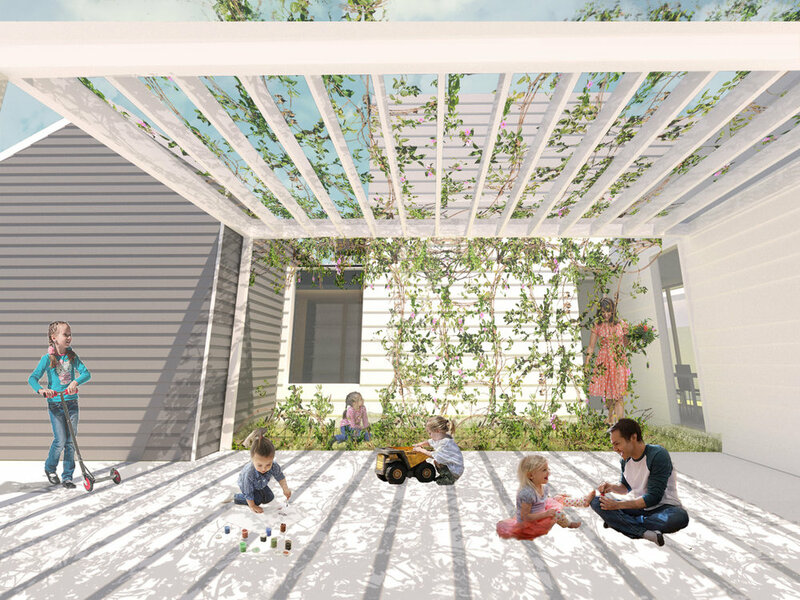 House of Small Moments demonstrates an alternative way of responding to the heritage constraints in Williamstown and had a smooth passage through Town Planning as we could demonstrate how it satisfied Council’s requirements whilst creating a better home for our clients.